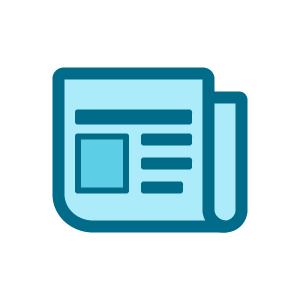 News/media coverage and awards about the FreshGrade company and suite of apps. 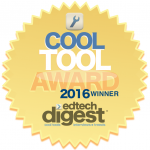 FreshGrade is thrilled to have been selected as the winner of the EdTech Digest Cool Tool Award for Best Communication Solution. 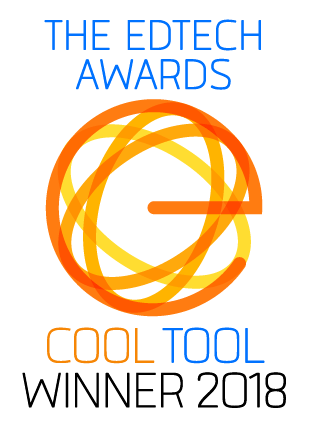 The Awards shine a spotlight on cool tools, inspiring leaders and innovative trendsetters across the K-12, Higher Education, and Skills and Workforce sectors. Gaila Sanders, a high school English teacher, explains how she uses digital portfolios in her classroom to help students feel more comfortable with trying, failing, and, most importantly, improving. Lane Merrifield, FreshGrade co-founder and CEO, was selected as one of the Top 100 Influencers in Edtech. This list recognizes people who are making the world a better place through their work in education technology. Also, FreshGrade was named to its EdTech 1000 Companies Transforming Education! Go to full report. Cari Wilson, innovation and technology lead teacher at West Vancouver School District, BC, explains how she continually evaluates her instruction to improve her impact on students’ learning. 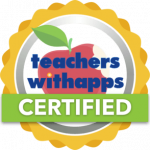 Teachers With Apps Certification Awards was designed to recognize and applaud outstanding developers in the digital education industry. FreshGrade was selected for being exemplary in content, presentation execution and overall user experience. Kathy Rogers, a teacher in Vestavia Hills, Alabama, explains how she promotes feedback-loop-conversations using FreshGrade. Teachers and administrators share their new year’s goals. Edtech specialists share their thoughts about what will happen in 2019. Lee Wilson, President of FreshGrade, points out a new trend of assessing student performance. Peter Briggs, a music teacher in Tacoma, Washington, started to use student digital portfolios to manage and support growth for all skills levels. With FreshGrade, educators can capture evidence, give feedback and track progression through standards and custom objectives. Digital portfolios are a great way to help students learn to reflect on their actions and make positive changes. Apps allow teachers to post assignments, adapt the lesson to individual students and share feedback. Encouraging parents to comment on their child’s digital portfolio helps reinforce the learning process and increase growth. Around 12,000 Tri-Cities elementary and middle school students are using FreshGrade portfolios that show what they are doing in class with photos, notes and videos uploaded by their teacher. FreshGrade announced the upcoming release of FreshGrade for Schools. This application is designed to give teachers the ability to create and individualize assignments for different students’ needs as well as record progress over time. FreshGrade for Schools extends portfolio and assessment features while simplifying building-level use of the platform. FreshGrade‘s portfolio and assessment platform showcases students’ learning artifacts—including videos, pictures, audio recordings, links, and documents. EdTech Digest Awards recognize, acknowledge, honour, and celebrate the biggest names in edtech and newer talents shaping the future of edtech. In 2018, FreshGrade was the Winner of the Cool Tool Awards, being considered the best-personalized learning solution app. CreditDonkey Best in K-12 Education Award announced FreshGrade as one of the best educational resources for students. Founded in 2012, FreshGrade was developed by a group of dedicated individuals who saw a better way to communicate a child’s progress at school. FreshGrade app captures learning in real-time while encouraging student ownership and increasing parent engagement. The different types of technology tools not only engage parents but also the entire community in what students are learning. Technology use gives students more ways to showcase their learning and demonstrate their understanding. Digital portfolios let students and teachers capture evidence of learning through images, video and audio, and make it much easier to provide visibility into every child’s experiences and achievement. Google Translate is now integrated into the comment and announcement features within the FreshGrade app for all new and existing school and district partners. Digital portfolios push updates to parents, connecting them with what is happening in the classroom, and start conversations about learning with their children. Combining different assessment tools into a digital portfolio platform, saves teacher’s time, allowing them to engage in professional development, plan an innovative new lesson, and make sure each student learns. Digital portfolios allow educators to combine a traditional approach with ongoing feedback in a way that shifts assessment from a snapshot to an ongoing conversation. Digital portfolios have made it easy for teachers to capture learning and provide personalized feedback on the go. What Is the Future of the Individualized Education Program? Digital portfolios and assessment platforms allow teachers to set relevant and individualized goals, capture and share progression in real time with both the student and the parent,and help IEP goals don’t get lost in the day-to-day running of the classroom. FreshGrade is a portfolio and assessment platform designed to make the learning process visible and therefore more accessible to students, teachers and parents. Technology has been allowing teachers to capture learning and provide feedback on the go, rather than waiting until the end of term to communicate learning via report cards. FreshGrade was selected for the 2017 ICT Ready to Rocket list as a top technology company that is well positioned to capitalize on the largest growth trends in the technology industry. Ready to Rocket is a business recognition program for British Columbia’s tech sector that showcases the Revenue Growth Leaders of Tomorrow. FreshGrade provides flexibility in customizing outcomes to include foundational skills and allow for the attachment of specific curricular outcomes to key learning tasks. Through principal’s leadership, students create e-portfolios that give them personalized, targeted support and three-way parent, teacher and student conversations. FreshGrade’s chronological portfolio format and ability to create multiple submission options encouraged students to see their individual assessments as snapshots of growth through time. 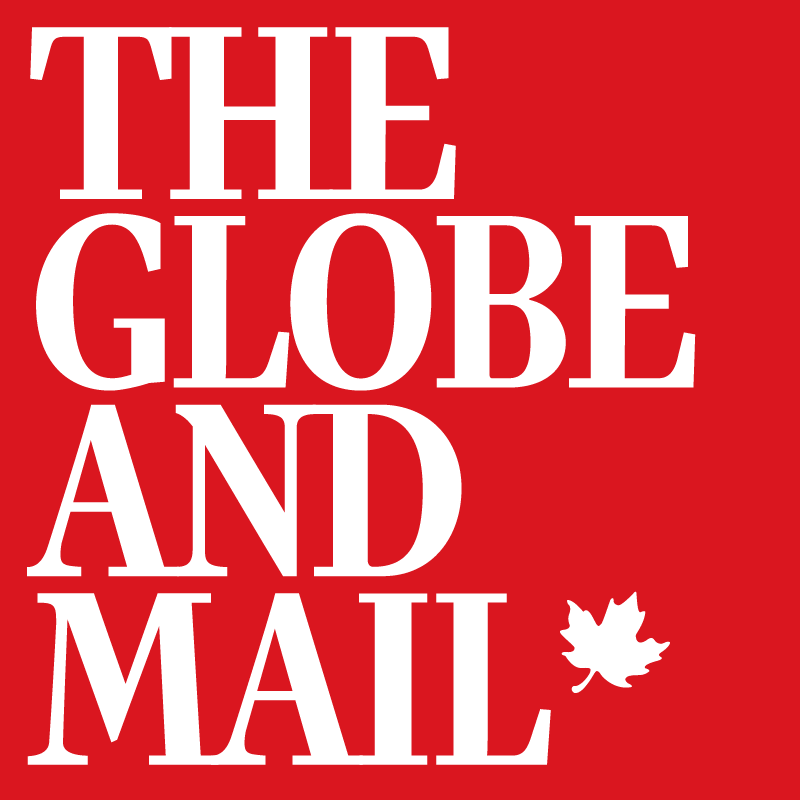 Companies-to-Watch Award honours early-stage Canadian technology companies in business for less than four years. FreshGrade was recognized with the award as part of Deloitte’s Technology Fast 50™ Awards, for its innovative technology, leadership and early stage growth. Report cards to track students’ academic progress are being replaced by systems that displays an ongoing input from teachers, students and parents. FreshGrade was recognized with a Companies-to-Watch Award, for its innovative technology, leadership and early stage growth. Gunnison High School aims to show growth over the course while promoting authentic learning progress, allowing both students and parents to monitor the work performed, and teachers to provide feedback. Mindy and Jonathan review a number of online sites that are aimed at helping improve classroom communication with parents. The 7th Annual Canadian Ed Tech Leadership Summit has awarded FreshGrade its first ever Ed Tech Business Leader of the Year Award. The 7th Annual Canadian Ed Tech Leadership Summit granted the British Columbia company FreshGrade with the Ed Tech Business Leader of the Year Award. According to FreshGrade CEO Lane Merrifield, the award reflects the hard work of the team, supporters, teachers, parents, educational leaders, and change-makers who are making a difference for students. Apps allow parents become more involved with their child’s education and allow teachers to communicate with parents. Parents are now expecting to get a more ongoing evaluation about their children through the new app called FreshGrade. Five schools on the Sunshine Coast are experimenting with FreshGrade as a replacement for traditional reporting methods. As technology innovation grows in the education space, several schools are starting to adopt new classroom models. FreshGrade helps parents and teachers to maintain an ongoing communication during the school year, rather than relying on quarterly or semester based report cards alone. FreshGrade allows parents to monitor their kids’ progress in real time, changing the traditional learning experience for parents, students and teachers. FreshGrade is a free app for students, teachers, and parents that is designed to give teachers and parents a continuous look at student work and progress through their digital portfolio and gradebook. Students at Canyon Heights are piloting an app called FreshGrade, which provides a report card with more comments from teachers on key ideas and skills, and fewer letter grades. FreshGrade is a powerful strategy to ignite parental involvement by connecting them in real time through the use of digital portfolios and assessment tools,giving parents a window into the classroom. Teachers now have plenty of modern ways to look into better engaging with parents and keep grading for their students. FreshGrade’s dashboard makes it easy to manage students’ work and offer great feedback, whether teacher works in paperless classroom or is just moving in that direction. A Middle School teacher in British Columbia, Canada, explains how he used FreshGrade to create portfolios, assess students and comunicate with parents. FreshGrade is an education resource for teachers, parents, and administrators that mirrors how people communicate and use technology today, opening a window into the classroom to ensure maximum student engagement and progress. The program examines the DNA of entrepreneurs: what makes them tick, how they came up with their ideas; and explores the habits that make them successful, and the highs and lows that pushed them forward. A 3rd grade teacher in Monroe, Connecticut, explains how she uses FreshGrade to creates private, individual student portfolios where teachers can post photos, voice recordings, videos, downloads, messages, and grades. An educational platform called FreshGrade seems to be a hit at Mar Jok Elementary in West Kelowna. Digital platforms that allow teachers to record, evaluate and share evidence of learning are transforming communication between Ontario homes and schools. Teachers in School District 53 are taking a risk in the classroom and it’s making a world of difference for many students. The Kelowna, B.C.-based education tech startup, offers a web and mobile tool that allows teachers to assign, grade and share students’ work via digital portfolios. FreshGrade, developed by a Kelowna company, is being touted as a “transformative” tool that will make communicating between home and school easier and more meaningful. Curriculum changes allow for more flexibility, says supt. Decreasing the number of provincial exams students are required to write, and changing the way they are assessed will allow more flexibility in the classroom. New digital tools let teachers and students assess work more comprehensively. The additional funding will help fuel the success of FreshGrade’s customers and growth for FreshGrade in the U.S.
Five schools in SD46 have been awarded K-12 Innovation Partnership project funding from the Ministry of Education, and will have FreshGrade as a pilot assessment tool. The EdTech Digest Awards acknowledge people in and around education for outstanding contributions in transforming education through technology to enrich the lives of learners everywhere. FreshGrade won the Cool Tool Award 2016 as the best parent/student solution app. Teaching without grades, tests and homework is the message from a growing number of educators who are making substantial changes in their classroom practices. Students in Aaron Hoffman’s Grade 5/6 class at Okanagan Landing Elementary School explore aboriginal history and culture using technology. Instead of using the old report cards model, teachers, students and parents now can have an ongoing conversation about a student’s learning, much of which takes place online. The new digital tool implemented at Bullis Charter School, provides parents a window into the classroom and helps create an open dialogue about how students’ work is developing. The technology magazine CIO Review evaluated and selected the 20 Most Promising K-12 Technology Solutions Providers in 2015. FreshGrade was awarded for its ability to provide technology solutions that will add value to the entire educational ecosystem. By capturing learning as it happens, FreshGrade brings an evidence based approach which allows teachers, students, and parents to view and share student documentation seamlessly. North Cottesloe Primary School kindergarten and pre-primary teacher began testing FreshGrade — a Canadian app which allows teachers to share students’ learning with parents instantly. A middle school in Anmore may be a model for changes in B.C.’s education system as it pioneers the province’s new curriculum using the latest in technology, flexible classroom spaces and teaching strategies. Child’s progress is more complex than a single grade. FreshGrade helps to create a private virtual report card for each student, which teachers update throughout the year. The platform acts as a connection point to support teachers, engage parents and empower students to bring more visibility and real-time interaction to the process of learning. Fresh Grade founder Lane Merrifield explains how the software is helping parents get a first hand look at their child’s school day. 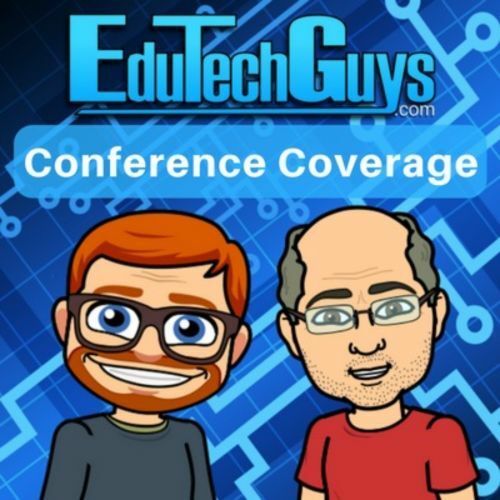 The software is supposed to connect teachers, parents, and students to a network where teachers can organize lesson planning and assessments, and communicate with teachers and students. The Surrey Board of Education pioneered a pilot program eliminating letter grades in several elementary schools. More than 40 classes at 13 elementary and six secondary schools have joined the experiment. Merrifield discusses the challenges of launching, running, and selling a startup, and finally figuring out how to be an entrepreneur without totally losing your mind. FreshGrade, a Learning Collaboration System for teachers, has released a new mobile app that gives teachers more freedom to work in a busy classroom.